Saikawa dismissed French speculation that the scandal had been engineered by Nissan to oust Ghosn and end Renault's control. PARIS -- Nissan expects alliance partner Renault's board to back its ousting of Chairman Carlos Ghosn once it sees evidence from the Japanese automaker's investigation, Nissan CEO Hiroto Saikawa said. Nissan understands that findings it provided to Renault lawyers more than a month ago have still not been shared in full with the Renault board, Saikawa told France's Les Echos newspaper. "All that I ask is that the directors of Renault should have access to the full dossier," Saikawa said. "I think that once that's the case, they will draw the same conclusions as we did." Ghosn's November arrest in Japan and dismissal by Nissan have deepened tensions with its French parent Renault - which has so far maintained Ghosn in office as chairman and CEO, citing the presumption of innocence. A spokesman for Renault, which has said judicial confidentiality requires tight restrictions on access to Nissan's findings even by its own board members, did not return calls and messages seeking comment. Saikawa's interview was published ahead of an expected court hearing in Japan on Tuesday, at which Ghosn's lawyers are to present a request for his release on bail. Saikawa extended an olive branch to Renault and its state shareholder, while also dismissing French speculation that the scandal had been engineered by Nissan to oust Ghosn and end Renault's control. "It's absurd and I don't understand how anyone can believe such a scenario for a second," he said. "Look at the evidence; it's serious." 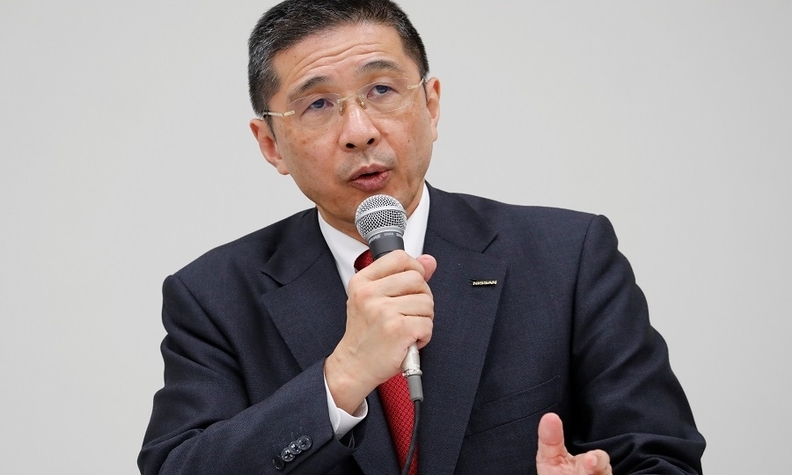 While the presumption of innocence must be observed in criminal matters, Saikawa said, the Nissan board's unanimous decision to dismiss Ghosn was grounded in ethical considerations and "the facts brought to light." Renault owns 43.4 percent of Nissan, whose reciprocal 15 percent holding in the French automaker carries no voting rights. While investors do want to see the alliance structure evolve, Saikawa said, "that is really not the current priority." "The important thing today is to stabilize things and work together trustingly - not to know whether Nissan should have voting rights in Renault," he said. The French government, Renault's biggest shareholder, will support the decision to keep Ghosn at its helm unless it becomes clear he will be "chronically incapacitated" by the Japanese investigation, officials said on Monday. Tuesday is likely to see "important developments" in relation to that question, one French official said.